Italian soldiers inspect the abandoned or damaged Soviet light tank T-60. 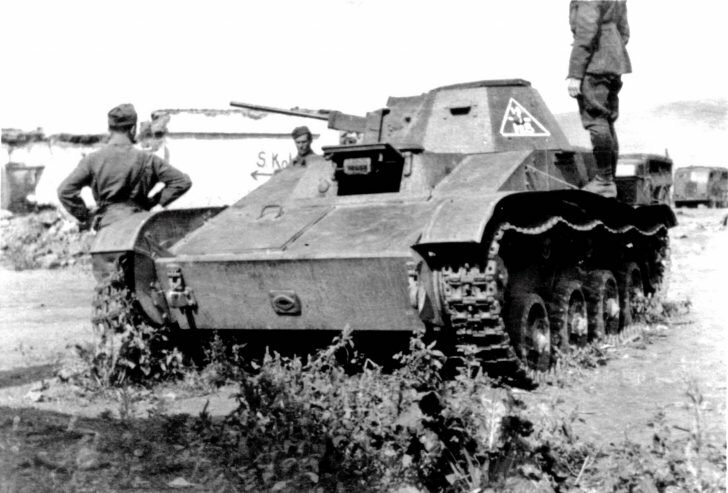 T-60 – Soviet light tank of the Second World War. Developed in August 1941 at the Moscow plant number 37 under the leadership of Nikolai Aleksandrovich Astrov. In September 1941, the T-60 light tank was adopted by the Workers ‘and Peasants’ Red Army and was serially produced at several machine-building plants. Production of the T-60 continued until February 1943, when it was replaced on assembly lines by a more powerful light tank T-70.